J. Andrew Keith's full name was John Andrew Keith. 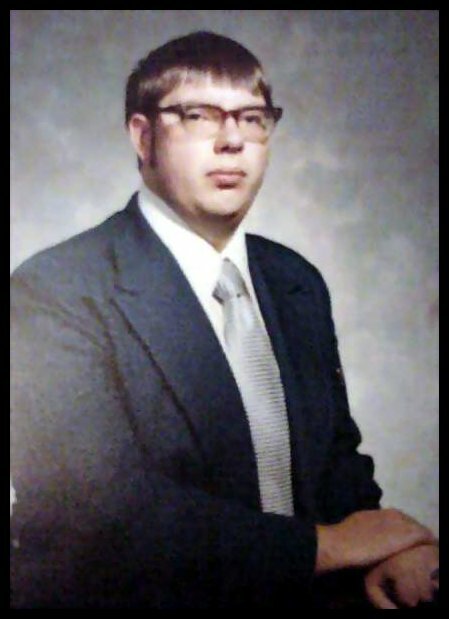 This is his High School photograph... apparently Andrew was a bit camera-shy and this picture was the most recent one his brother, William H. Keith, Jr. had in his photograph album. Make haste to the ramparts, men of the Legion! Slam shut the gates and prepare for the storm! Have run you to ground here at grim Camerone! And stand for the pride of the Foreign Legion! And keep alive one spark of old liberties! Spreading destruction and foul tyranny! And die for the pride of the Foreign Legion! Fighting a lost cause on stark Ganymede! Driven by oaths and the Warrior's Creed. To stand for the pride of the Foreign Legion! Legionnaires trapped here on fair Devereaux! And left it alone to face Man's greatest foe! And maintain the pride of the Foreign Legion! Hasten to muster the Fifth Foreign Legion! Mount on your Sandrays and rev up the fans! Of glittering Ubrenfar warrior clans! To fight for the pride of the Foreign Legion! Andrew was a rather prolific Science Fiction and Role-Playing Game author, and the bibliography presented below is in no way comprehensive. Several of these works were with various co-authors, most commonly his brother, William H. Keith, Jr.
"We shared several: Keith William Andrews, Keith Douglass, and H. Jay Riker. Back in the Traveller days, when he was doing a ton of writing for the old Journal of the Traveller's Aid Society, he used several pen names, including Keith Douglass and John Marshall, so it wouldn't look like the journal was entirely an Andrew Keith production." Books, Supplements, and Folio Adventures: Cargonaut Press, Digest Group Publications, FASA, Gamelords, GDW, Marischal Adventures, and Seeker. I'm a Doctor, Not a. . .
My special thanks to William H. Keith, Jr. for the photograph and other information, as well as to Timothy Collinson, Bryan Borich, and Jimmy Simpson for supplying much of the material contained in the bibliography. If you've any revisions/additions to the bibliography, or any other suggestions, please email me at the link below - thanks! This site owned by Paul Sanders. This is a mirror of the original site, incorporated into Freelance Traveller with the permission of Paul Sanders. No changes have been made other than adding this notice.